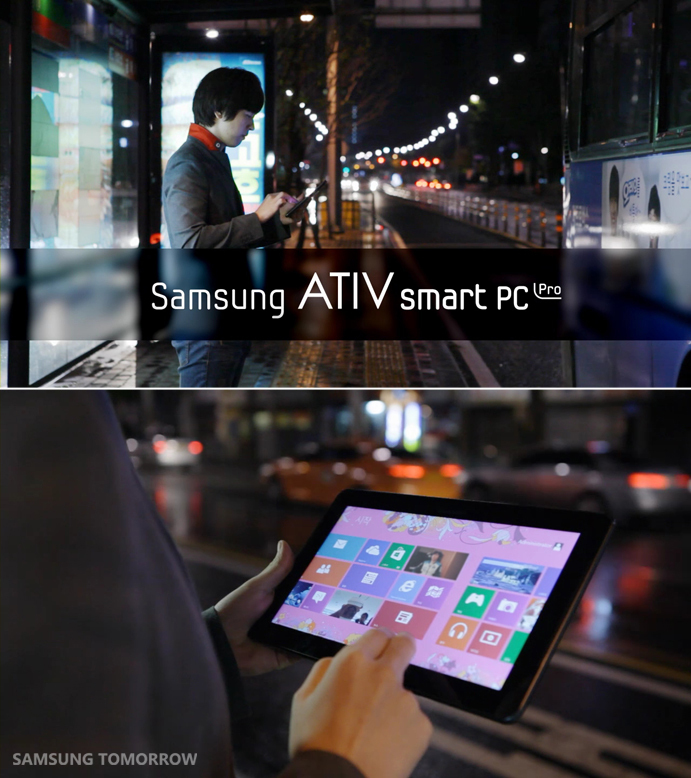 Nothing is impossible with ATIV Smart PC Pro! We recently took a look at how well the ATIV Smart PC Pro could handle high performance games like StarCraft 2, and recruited a few pro gamers to see how it did. Check out what they had to say about their experience with ATIV Smart PC Pro. 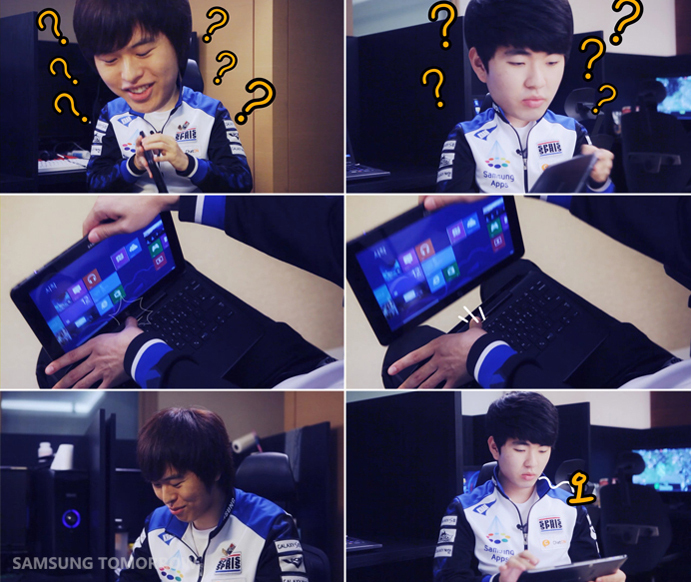 Byunggoo Song and Kihyun Kim, two world-class pro gamers in the Samsung Khan team, were handed ATIV Smart PC Pros and had the chance to investigate a little. They were both able to check out its features before using it for gaming. You can see them experimenting with the touch function in tablet mode, as well as various applications and PC functions. They both look quite curious, don’t they? Before too long, they received their first mission! 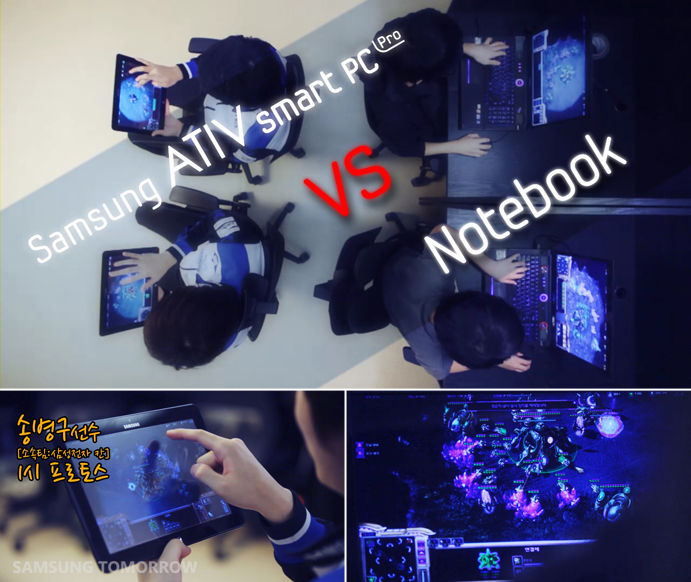 To see how gaming with the ATIV Smart PC Pro measures up to gaming with a mouse and keyboard, our two gamers played a fierce game of StarCraft 2 against our “Notebook Team”. ATIV Smart PC Pro vs. Notebook!! Who will win? 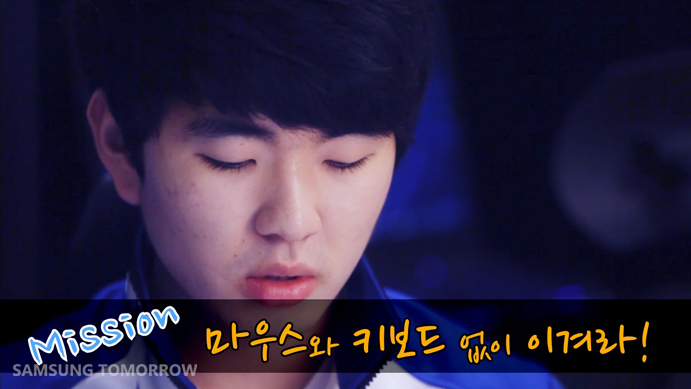 Our pro-gamers are pretty sure that they are doomed, but rise to the challenge! And who are the people on “Team Notebook,” playing against them on laptops? 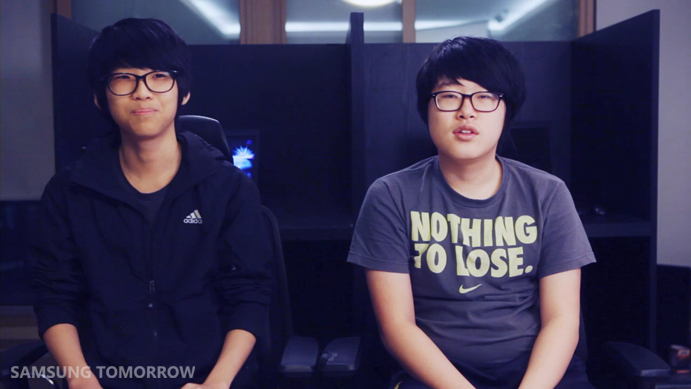 We invited two fans who simply love playing games and made them the laptop team. Are you ready to begin the game? 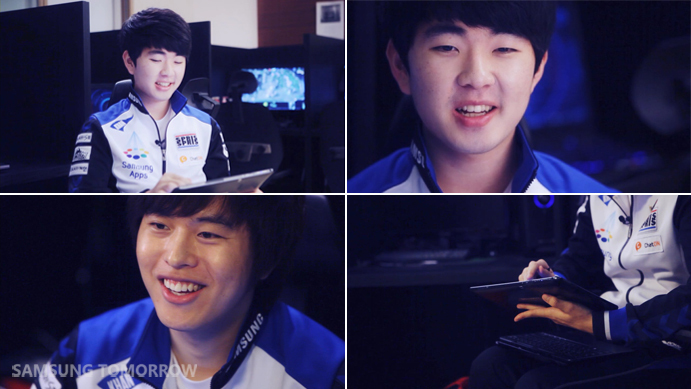 Pro gamers played the game with quick hand motions. They did look somewhat uncomfortable using fingers and S pen instead of mouse and keyboard at first. However, they are undoubtedly pro gamers. They quickly adapted to ATIV Smart PC Pro and had their opponents surrendering within 7 minutes from when the game started. It is amazing. So what tips do they have to guarantee victory? We asked our two pros about their gaming experience. Sadly for the laptop team, they were unable to gain victory over our gamers. 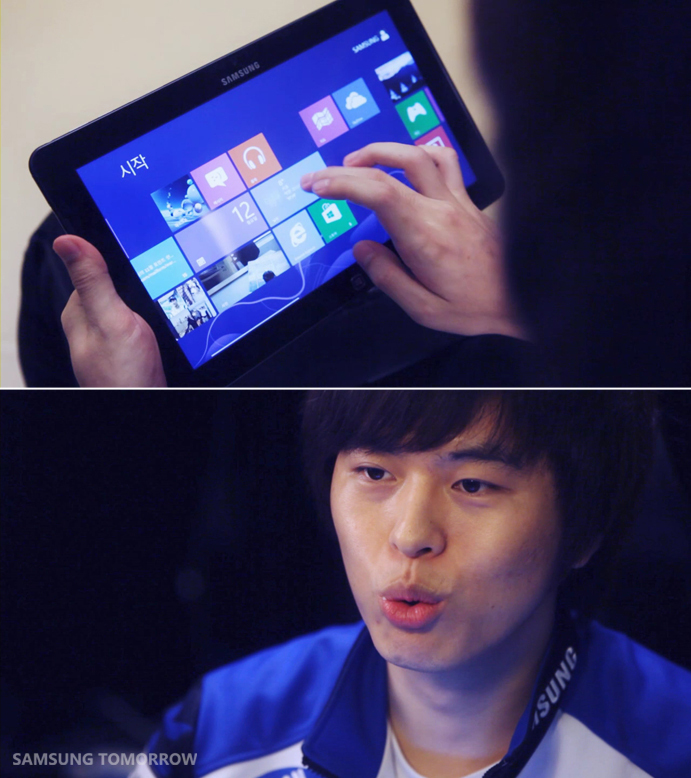 They were very depressed about the fact that they could not win over pro gamers who played the game on ATIV Smart PC Pro in tablet mode. They soon tried out the ATIV Smart PC Pro and fell in love with the product. To see some highlights from the battle, watch the clip below!